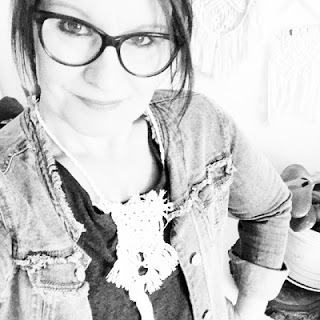 I haven't been frequenting the Op shops as much over the last few weeks...but I did get an overwhelming urge yesterday....and popped in for a look. 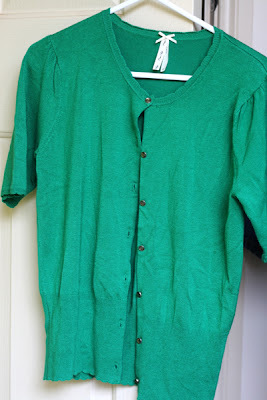 I came across this gorgeous green cardi from the 'Miss shop' its so soft and I can already see it with a skirt and top in summer. 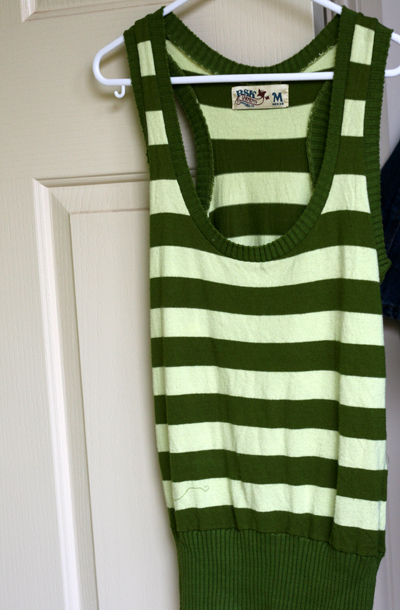 Then I came across this vest/ top from that I thought was super cute....its also a very soft knit in a double green stripe.....and I can see it with jeans over a white top.....or even as is in the warmer weather. 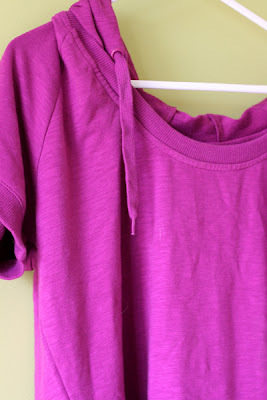 Finally I spotted this Offield Yoga top....its not my most favourite colour....but it will boost my gym wear pile a little....which is a good thing. Great finds once again Mardi! I can never find nice clothes like those at my op shop!